The Number of Clicks That Is. Crazy Egg’s inherently all-visual reports have a raw-data report balance. For those of you who don’t like color-coded data visualizations and prefer number data, we haven’t forgotten about you. The List report displays every click on a web page in a tabulated format. That way you can know the exact breakdown of what page elements are being clicked on. No guessing, just exact numbers. Do your visitors prefer to click on links or buttons? Our list reports know! Sometimes these subtle design preferences, once understood, can make huge impacts on your bottom line. 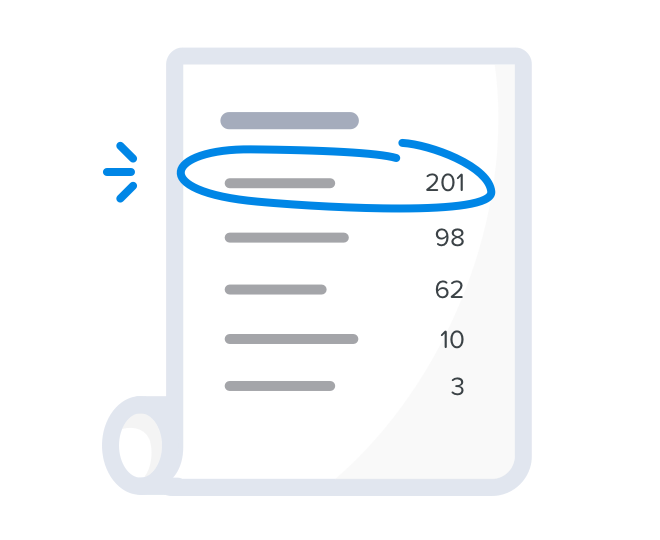 The List report exposes these patterns numerically - so there’s no question as to what your most popular page elements are. Moving page elements, such as pop-ins and elements that scroll with the page, can be difficult to analyze with traditional heatmaps. The List report tells you exactly which elements are getting clicked on, regardless of how they move. Do you just want to know how many times people clicked on and around one of your web pages? The number alone is a good measure of page engagement. 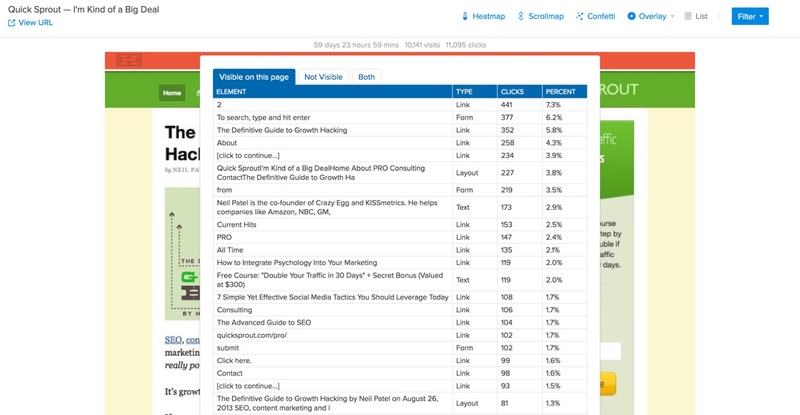 Compare one page to other pages to see how much more or less visitors interacted with it. How can I use the List report effectively with other Crazy Egg features? 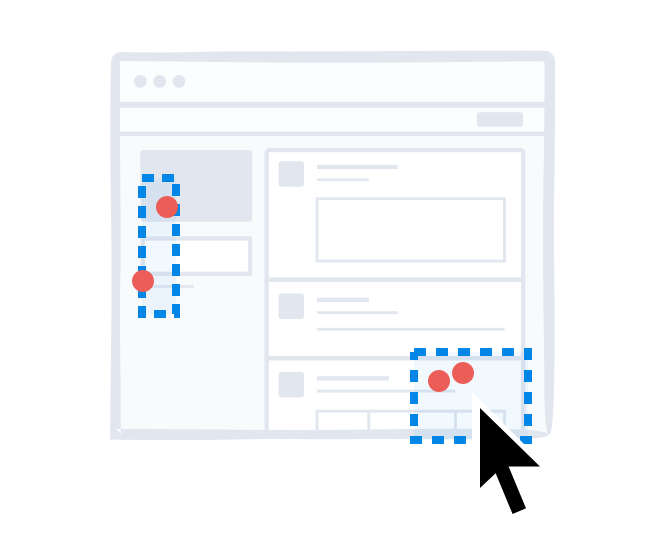 You can use our Heatmap report to see areas of high click activity and then use the List report to know exactly how many clicks happened in each “hot” region of your web page. This will help you determine which area gets more clicks when two or more areas appear to have similar heat signatures. Is the List report data exportable? Yes, it is! You can download your List report data as a .CSV file. It will be emailed to the email address associated with your Crazy Egg account. Additionally, you can choose to download all your reports at once. Can I try the List report for free? Certainly! As a matter of fact, you can try the entire bundle of Crazy Egg feature for free. Find out where your visitors are getting stuck with exact number data list reports.